Meet Daniela and her baby, Lizandro. Daniela has three children.Tragically, Daniela’s twin sister died during childbirth three years ago, so Daniela also cares for two of her sister’s three children. The family was extremely distraught. When Daniela became pregnant with Lizandro, this was not greeted with happiness or enthusiasm, since the family was still grieving. 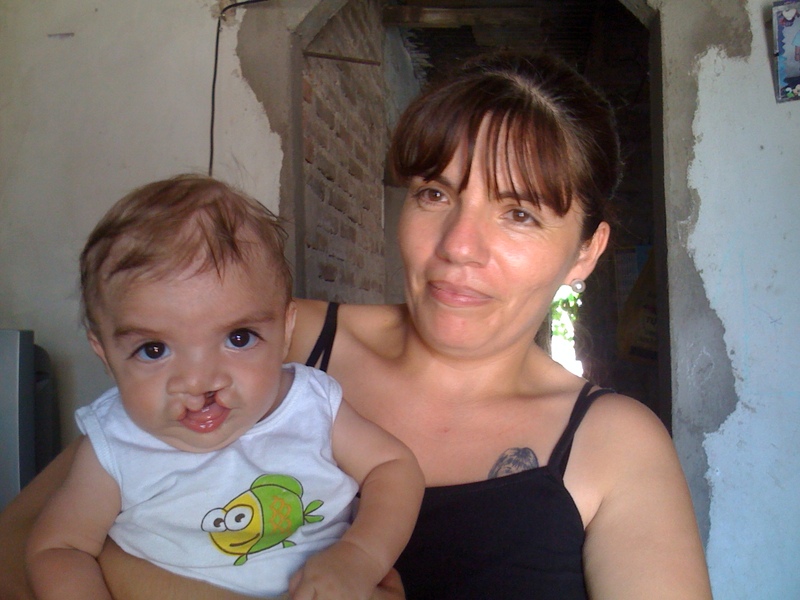 Daniela found out that Lizandro had a cleft lip during an ultrasound scan at 7 months. She was very upset and said that she could not stop crying at the time. An employee at the maternity hospital referred her to Gavina, where she received pre-natal support. Daniela said that this experience made her feel a lot stronger. Lizandro was born premature and had to spend a month in the NICU. However, Daniela and the rest of the family were well–prepared and they were thrilled to bring Lizandro home. At first, Daniela says that it was difficult to deal with people staring at the baby. She began to attend parent group workshops, and she said that this has helped her and now she is not affected by the reactions of other people. Daniela says “this baby has turned our lives around.” She is very happy to have him in her life and the family considers him to be very special. Lizandro’s father is involved, and he accompanies Daniela and Lizandro to the parent group meetings. Lizandro, now 7 months old, is scheduled for his first lip surgery in February.